I think this folding 35mm rangefinder may just be the coolest looking camera I own. I found this on Craigslist recently, and was surprised to hear that the first guy interested in it had changed his mind because the light meter doesn’t work. Fortunately for me, the first guy wanted a perfectly functioning camera, so I was able to buy it. I felt it was underpriced, so I gave the seller more than he was asking. I just didn’t feel right paying him too little for it, and I was still getting a very good deal. This good karma came back to me when he contacted me shortly after that to see if I was interested in a Contaflex and a Kodak Signet, both of which I ended up also buying (thanks again, Charlie!). 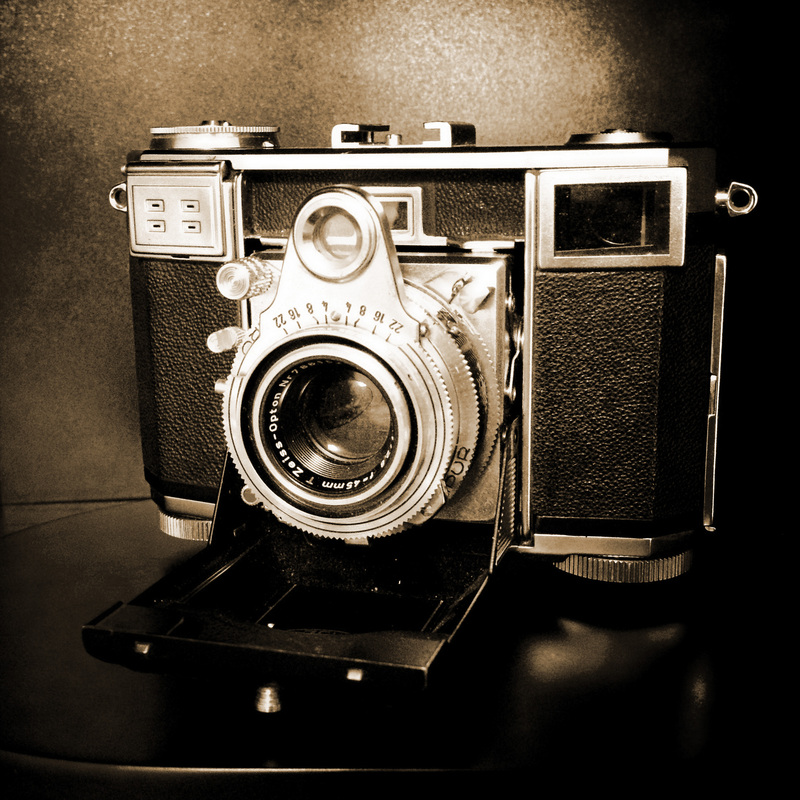 This camera was made by Zeiss Ikon AG in Stuttgart, Germany between 1953 and 1955. The feature that I think gives it such a unique look is the rangefinder ‘eye’ rising above the lens. This contains a rotating wedge prism that rotates as the front lens element is rotated. The rangefinder window sightline goes right through this prism, showing a circular rangefinder area at the center of the viewfinder. The rangefinder seems accurate on my camera, based on simply comparing the physical distance focused to the markings on the lens ring. I haven’t shot the camera yet, so it hasn’t been tested. The shutter mechanism needs a good cleaning on my camera, as the shutter speeds are very, very slow, so I have a bit of work to do before I use it. I can’t wait to get it working and shoot some film in it. This camera has a top-quality feel to it that gives the Retina IIIc a real run for it’s money. I look forward to seeing if I like shooting it as much as the Retina.